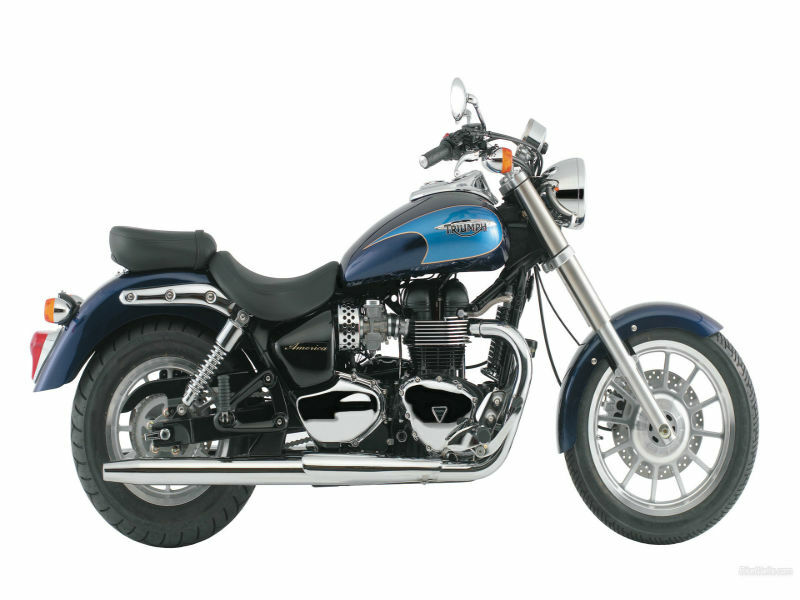 Triumph America is a stylish, modern day bike with all the latest advanced technology and quality features required for the jolly and comfortable ride. The design of the vehicle is so eye-catching and classy that it can never go out of fashion and this is the best part about it. The quality suspension, efficient brakes and the massive power created make the motorbike a real hero. The bike is powered by efficient 865 cc, air cooled, DOHC, parallel twin engine with 270° firing interval. New electronic fuel injection used in the engine is another major plus point has it helps to generated highest power without the wastage of fuel. The maximum power delivered is about 45 kW at 6800rpm and the highest torque achieved is 72 Nm at 3300rpm. 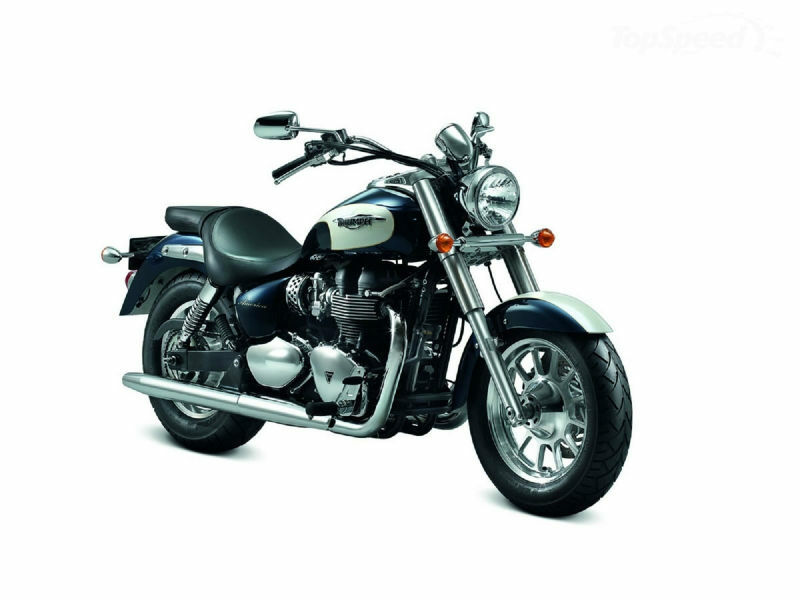 The all new Triumph America is an impressive bike with modern design features which has the power to steal the heart of every passerby. Flawless body works with neat curves and lines is the first noticeable and prominent factor loved by all. 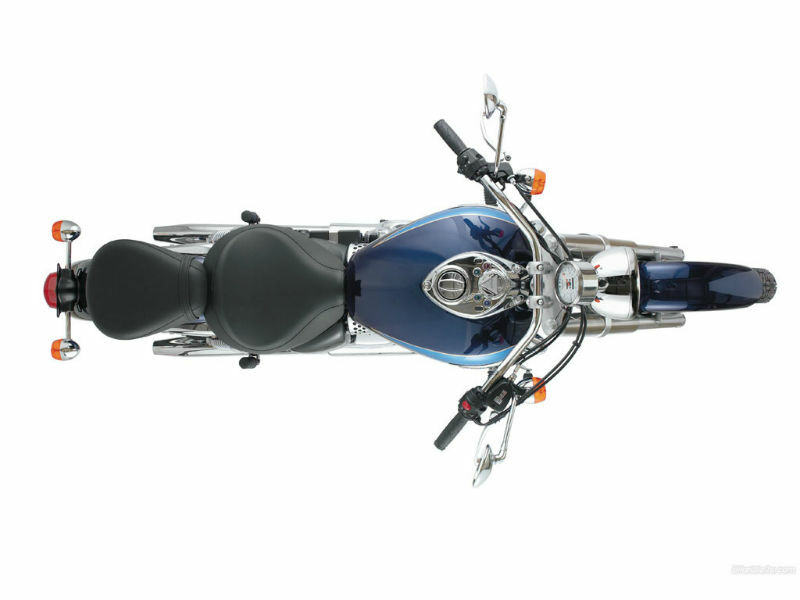 Further the comfortable low rider seat, chrome finished handlebars, stylish exhaust pipe, broader wheels, attractive headlamp and each and everything about the vehicle is pleasing to eyes. Being structured with aerodynamics body, quality materials and great chassis, riding this motorcycle is an unforgettable experience. The suspension of the vehicle including the front Kayaba 41mm forks and rear Kayaba chromed spring twin shocks takes care of the rider by providing the smooth, trouble free ride. When it comes to the safety and better control of the motorbike the disc brakes used in both wheels assist. This stylish motorbike gives the mileage of about 25 kmpl in city limits and in highways it assures 30 kmpl. The ex-showroom price of this yet to be released vehicle is Rs. 8,00,000 and not much information is available about the variants and colors available.